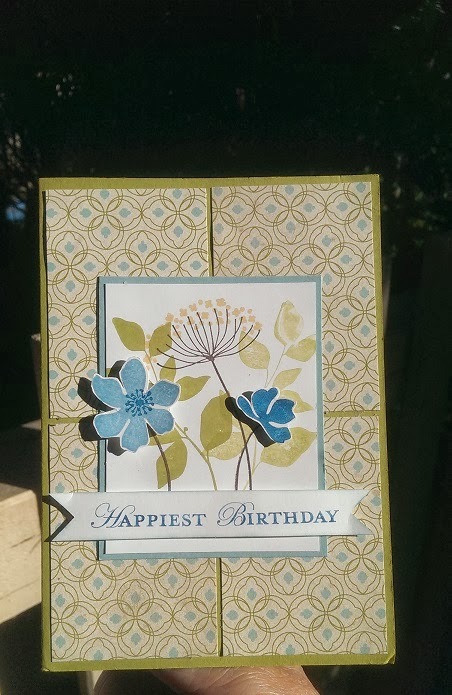 For this card I used the sketch over at the Freshly Made Sketches and the colour combo over at Colour Thowdown Challenge. For this card I used the following products from Stampin Up. Lovely card Jo! 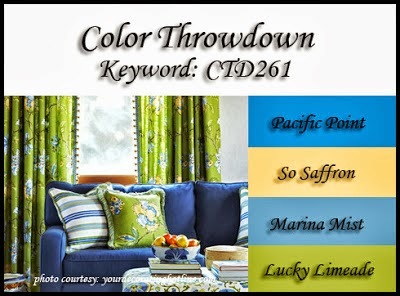 I love the color combo and the popped up blue flowers! Thanks for joining us this week at Freshly Made Sketches! Love how you changed the sketch to an A2 card. Those flowers and leaves are lovely!! Thxs for joining us at CTD! !